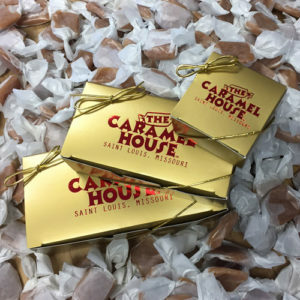 Two delicious pieces of St. Louis’ finest artisanal salted caramel, created by hand with no artificial ingredients. 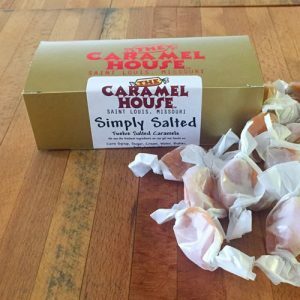 Whether it’s plain salted caramel, or one of our many delightful flavors, we guarantee it won’t stick. 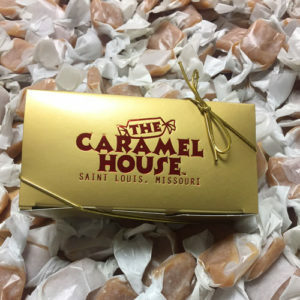 Six delicious pieces of St. Louis’ finest artisanal salted caramel, created by hand with no artificial ingredients. 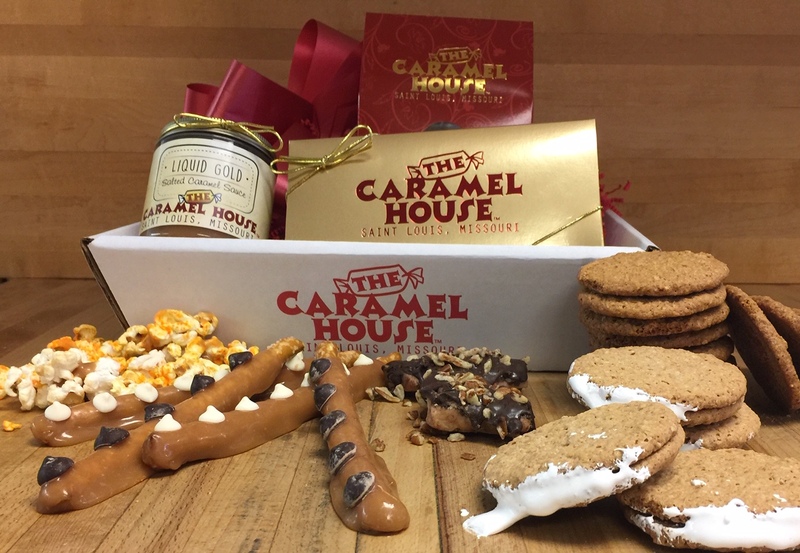 Whether it’s plain salted caramel, or one of our many delightful flavors, we guarantee it won’t stick. 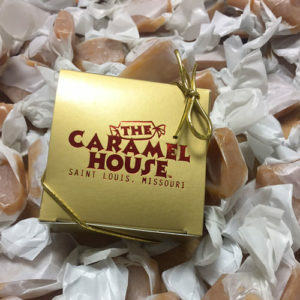 Twelve delicious pieces of St. Louis’ finest artisanal salted caramel, created by hand with no artificial ingredients. 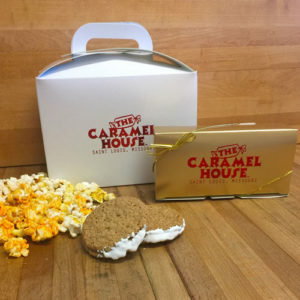 Whether it’s plain salted caramel, or one of our many delightful flavors, we guarantee it won’t stick. 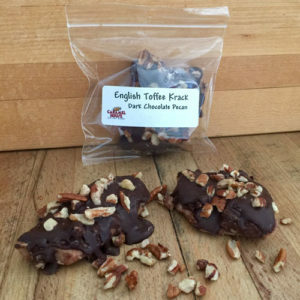 Tucked lovingly into our signature tote! 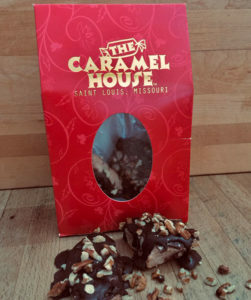 Missouri Pecans and Simply Salted Caramel drenched in Swiss Dark Chocolate each crafted by hand make the perfect mouthwatering turtle. 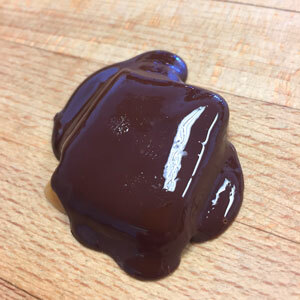 Simply Salted caramel drenched in Swiss Dark chocolate individually crafted by hand makes a delicious sweet treat. 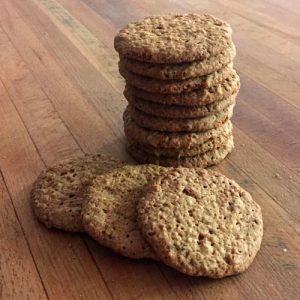 A full dozen of crisp, Scotch Oatmeal Cookies. 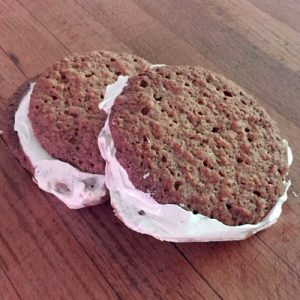 Schmear of Salted Caramel and Marshmallow between two Scotch Oatmeal Cookies. 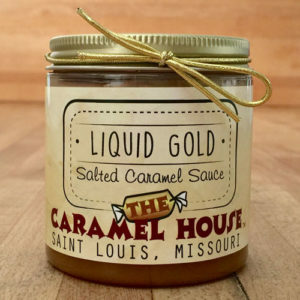 Smooth, Rich Salted Caramel Sauce, Crafted by Hand, Love by the Spoonful! 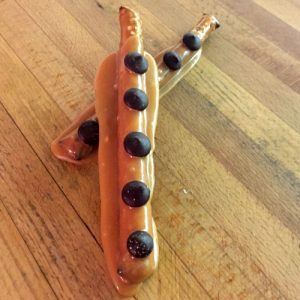 Single Pretzel Rod smothered in Salted Chocolate and dotted with Dark Chocolate Buttons. 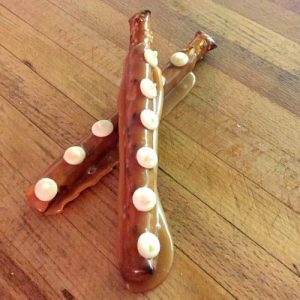 Single Pretzel Rod smothered in Salted Chocolate and dotted with White Chocolate Buttons. 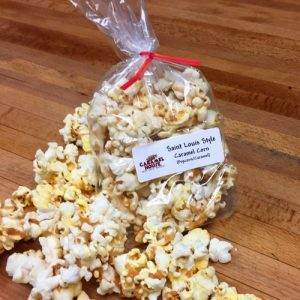 Gourmet, fresh popcorn drizzled with our warm Simply Salted Caramel creates a rich, sweet & salty snack. 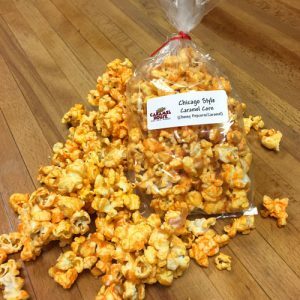 Gourmet, fresh popcorn drizzled with our warm Simply Salted Caramel and tumbled with Cheddar Cheese creates a rich, sweet & salty snack.